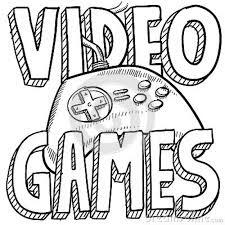 Video games is a great habit to have. 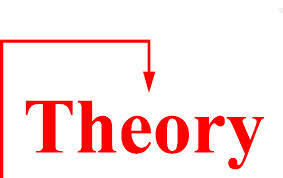 There are many studies as to what benefits one receives when playing them. 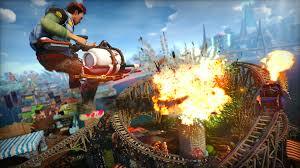 As a gamer do you feel pressured with the need to get a game upon release? 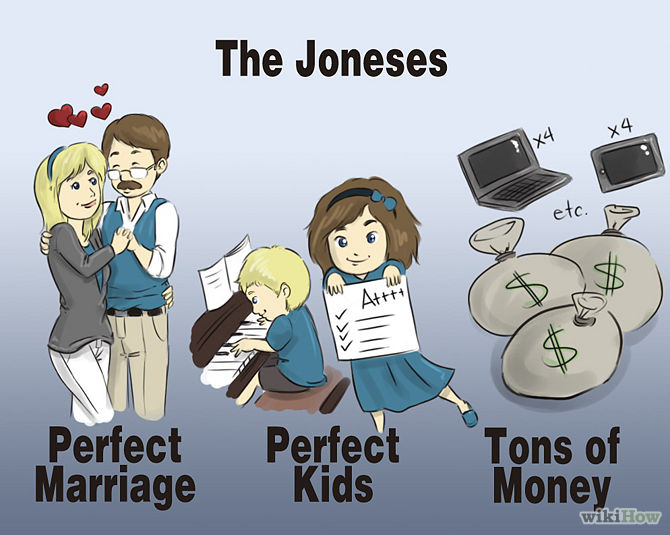 Do you feel the need to keep up with the Joneses? I do feel the pressure as it relates to keeping up with others but what helps me is knowing that the game will always be there when i decide to purchase it. Besides I have others I have yet to beat. Nba 2k15 is already here and I haven’t even put a dent in 2k14! How do you deal with the pressures of your peers? I am fine being me and keeping my own pace. As always follow, like and comment. Do you follow the trend or do you create your own current? 1. Ryse Son Of Rome- This game looks amazing. 2. 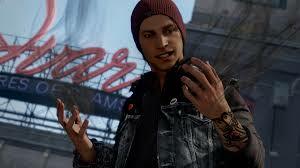 Infamous Second Son- This game set the bar for all next generation games to follow. 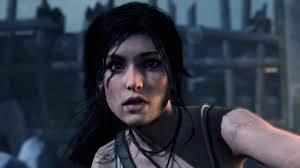 3.Tomb Raider The Definitive Edition- This game looked good originally but the next generation paint only made things better. 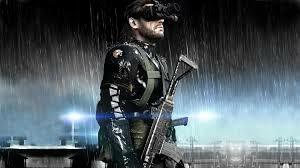 4.Metal Gear Solid Ground Zeros – This game was a teaser for whats to come. 5. Sunset Over Drive- Is one of the most colorful games to date. 6.Super Mario 3d World- Ok, you maybe wondering why this is on the list? Well this game looks amazing. 7. Grand Theft Auto 5- This game took the cake for detail and design. 8. 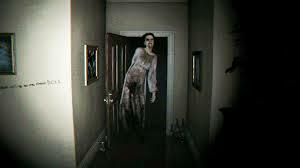 P.T. Demo-This demo had the best graphics I have ever seen. 9. 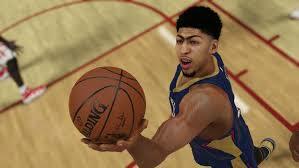 NBA2k15- The graphics are realistic what more can I say? 10. 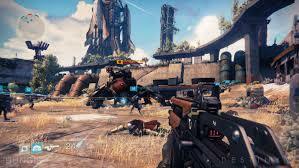 Destiny- This game has great graphics with fantastic art design. Well there you have it, My top ten list of the best looking games. What are your thoughts? Should there have been more games on the list? Do you have a favorite game the looks stunning? As always be sure to like, follow and comment. Much like the song “Started From the bottom”, we all have our starting points in life . Some start from the bottom others start from the top. Some have silver spoons in their mouths, others have to fight for the spoon. Wherever you find yourself the great news is that you don’t have to stay there. 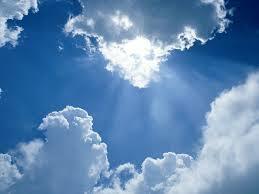 The sky is the limit for either situation. When you are starting from the bottom, be it financially, socially, or location wise you have to focus on the positives. You have to take chances and risks that others might not agree with. 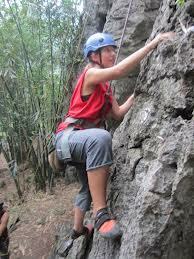 I’m not saying do anything drastic, I am saying do something to climb from the bottom to the top. As I mentioned in my last post, I talked about feelings. Those are very important in the process of transitioning. You must have the right mind set as it relates to progress. You must believe in yourself first and be willing to wait if you have to. If you feel that you will always be at the bottom you will. If you never do anything to leave the bottom, wherever that maybe, you will still be there. One of the most important things is to remember that no matter what you do, you will be critized. You might make a mistake, you might do something that people never want to admit that they have ever had the audacity to do. You might do a good thing and it might be evil spoken of. Never let that stop you. You can take from your time at the bottom. If your bottom is lack of money and your working towards that goal of being financially secure once you finally reach the top, your then able to help someone else. Being a witness that because you start at the bottom you don’t have to stay there. Much comes out of nothing, rather it be revelation, determination, new dreams, hopes, goals and ideas. Don’t be discouraged when your at the bottom by people who pretend to be better than you. For they have something hide for all their need to eject their arrogance. It takes time to make progress as it s not a over night thing. Always remember there is room at the top. That’s where I am going. Be sure to say your on your way to the top! Comment, share and follow. 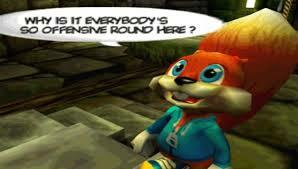 Top 5 list of video game characters with Potty Mouths. 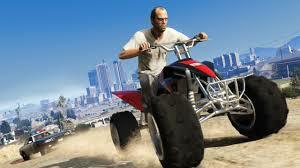 Video game characters have as much freedom as we Americans have with the bill of rights. It’s no wonder why some of them curse like sailors tossed to and fro at sea. 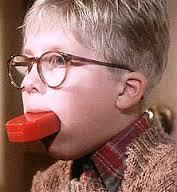 Here is my list of characters with potty mouths. 1. Marcus Fenix- From the Gears of War series. If he had a middle name it would be swearing as it is what he is good at. I guess swearing helps me stay sane while killing all the locusts. 2. 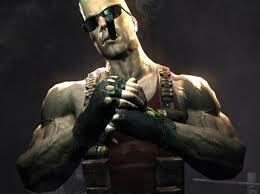 Duke Nukem- Perhaps one of the most well-known people on the list. This comes as no surprise. He gets the awarded as the granddaddy of swearing. He indeed has a potty mouth on him. 3. Saints Row Series- For this game your character varied but, their mouth did not. Whoever you chose to play as had a mouth full of trash to dispose of continually throughout the game. 4. 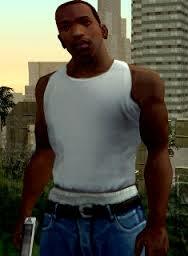 CJ- He is no stranger to any of us. He is one of the most popular characters of the entire series and has a colorful way of expressing himself making him most memorable. 5. Conker- No list would be complete without including that little cute squirrel. 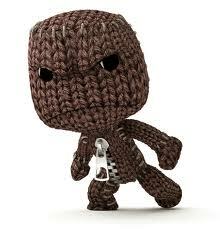 Mess with him and he will curse you half way to hell. Well there’s my list. It could have been longer but I didn’t want to drag it out. What do you think? Would you add any others? I think potty mouth characters make the game that they are in. They bring a type of realness that can’t be found elsewhere. My top 5 list of Video game characters with the biggest Head! So I know that this one is going to be pretty funny and that’s why I wanted to do it. I don’t think you will find a list anywhere mentioning such things. Sit back and enjoy the popcorn, the invisible popcorn that is, as I list the biggest headed characters to ever come into extence. 1. Donkey Kong -Up first is our fury friend that has been around for a while, since before I was born come to the think of it. 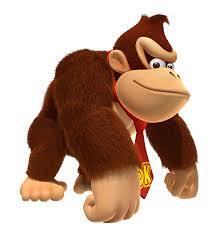 None other than Donkey Kong, yes his head is really big, bigger than big itself. 2. Up next is Mario- You can see his head from miles away. A balloon has nothing on him. A common misconception is that he would use his head to break bricks when in actuality he uses his fists. 3. Kirby- That little pink circle thing head is huge. In fact his entire body is his head. He looks like a walking whoopie cushion. 4. 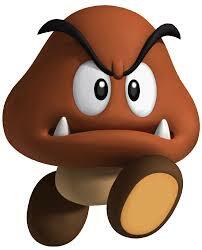 Next would be the goombas. Sure they are iconic in every way in their mission to stop Mario and his friends but they have the biggest head ever. 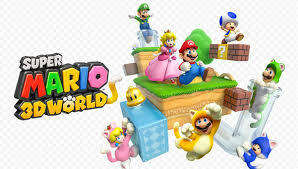 It’s a wonder that they can even wear a cat suit in Super Mario 3d World! 5. So who would make it to the end of the list you ask? Well….. There is a tie! It’s a tie between two iconic video game celebrities. One who has been on vacation since the 90’s and early 2000’s and the other who has an upcoming game. These two contain some of the biggest heads ever created. 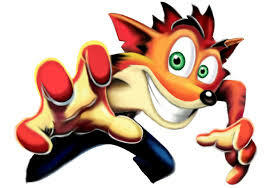 Crash’s teeth continue to be the most recognizable feature about him throughout the years. If you were ever lost in the dark, all you would have to do is look for his teeth to guide you home. Then there is the infamous Sack Boy whose head contains enough thread to make a pillow! Well there you have it! My list of the top 5 video game characters who have the biggest head. Who would you put on this list? Who is missing that you think that I should have added to his list? Be sure to comment, follow and share! Thanks! 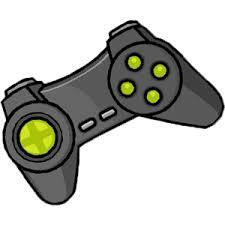 Sometimes I wonder if games the games that we play will send us half way to hell! 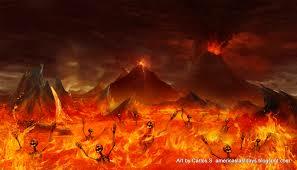 Yes hell is real. Kill this, Stomp him, and Finish her, all these things make me think about how religion has apart if any, in the games that we play. As a Christian, I look the Bible in which says not to kill but as a gamer in the games that I play killing is not an option, it’s a requirement. I have encountered people who were changed mentally by their personal beliefs and religion to the point where the games that they played, they could no longer play. For example, Gears of War was suddenly too violent, Injustice Gods among Us, had the name of God speaking to many God, not just one. The games began to conflict with their personal relationships as well. I think that gaming is a great hobby to have and should not be taken seriously as you are not committing the crimes and or actions on your own in real life. Virtual gaming is just that, virtual. I don’t think that gaming should affect ones religion. Where religion would affect our gaming is if you begin to imitate the actions that your characters are doing on screen in real life. I believe there are consequences to our actions and the road that you take in life can lead you to your destination, the one that you choose, Heaven or Hell. This is why I don’t think gaming should influence our behavior though, in my research I found that it does influence some. I belief that with a balance of religion or some type of belief, one will stay clear from the influence of the characters on screen. 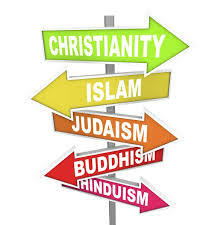 Not only religion but some type of moral and or standard will also stop one from engaging in negative behavior. What are your thoughts on religion and gaming? Should the two go together? Be sure to follow, comment and share.